Events this week include an ES Parent Workshop and a PTO Welcome Coffee for those who have arrived since the start of the year. 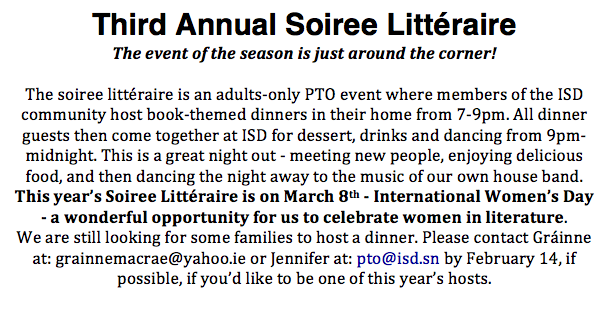 There is also news about March's Soiree Litteraire, which is always popular! 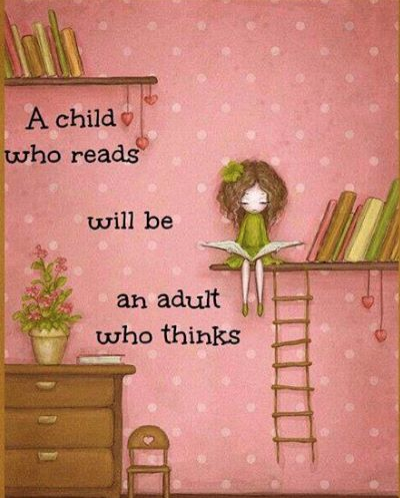 Finally, please remember to find some books to bring for the Book Drive. We accept non-English language books too. 6. School Photographs: Proofs will be sent home soon. The pack is 8,000cfa, and you can add items to that if you wish. More on the order envelope you will receive son. 8. PTO Welcome Coffee: Parents new to ISD are invited by the PTO to attend a Welcome Coffee in the Conference Room on the 2nd floor of the admin building. This will be on Thursday, February 13, and we'll give you some additional background to the school, and speak about upcoming events. 9. 1/2 Day Professional Development Upcoming: A quick reminder that the faculty will be having a 1/2 Day PD afternoon on February 14. This is also a 3-day weekend.